Great for a group of people can fit 6 to 8. Standing room too! 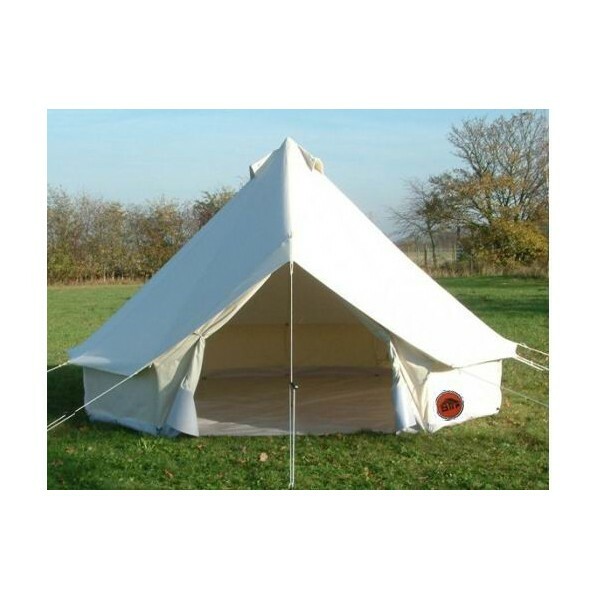 If standing up and having a stretch is important to you or if you fancy a trying to squeeze in a few more of you to make glamping a bit cheaper then this is the option for you. A single central pole even gives you something to lean on. (not too heavily!) Made of heavy weight canvas we’ve never had one of these blown down as they are heavy weight pegged too! 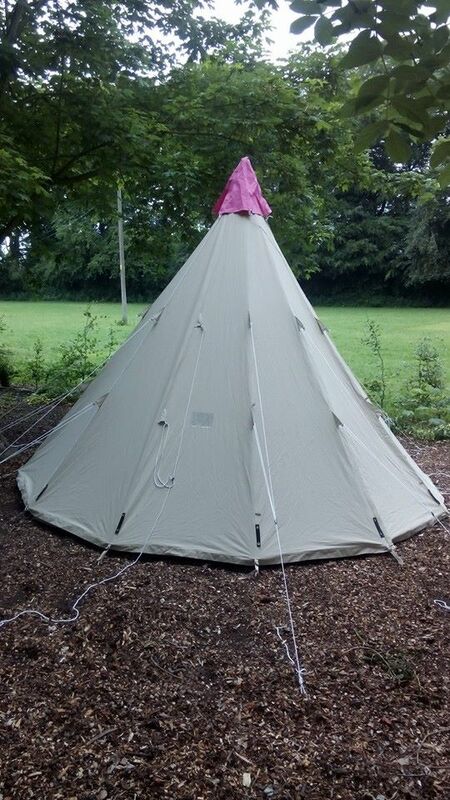 The basic tent comes with a carpet and solar lights. 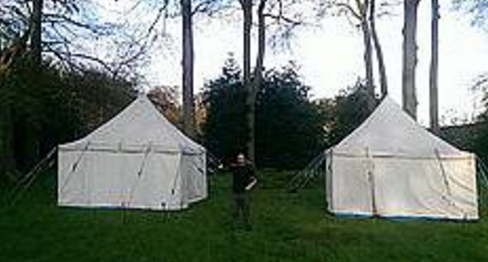 You can of course pimp your tent with some of our lovely extras. They are 12′ x 12′ square. The price includes a £100 refundable deposit.